With the 2016 deer season soon opening in all counties, South Carolina's deer population is healthy and the season outlook is good, according to the state's top deer biologist. Ruth said, "Provided we experience normal weather and seasonal temperatures, the outlook for the 2016 deer season is very good. This is based on the simple fact that the decrease in harvest in 2015 was largely a result of poor hunting conditions and not fewer deer. That being the case there was likely carry over of deer that would have otherwise been harvested if conditions would have been better last year. This is particularly the case with respect to antlered bucks because residual bucks from last year will be a year older and likely have better body weights and antler development." Hunters should not be overly concerned if the deer population is down compared to several years ago when the population reached its peak. Most hunters, to their credit, have recognized the fact that having fewer deer leads to better quality deer. Results of SCDNR's antler records program indicate that this may indeed be the case as the last five years have seen more than 1,000 bucks successfully entered into the state records program. 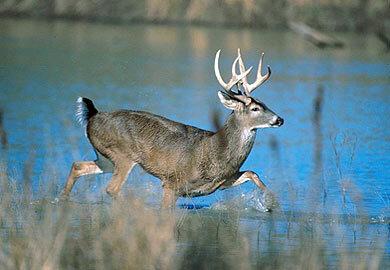 Deer hunting generates about $200 million in retail sales for South Carolina's economy annually.